Everyone needs confidence to get through life and the curve balls it throws our way. When you need a little extra pick me up and boost to get you back on your feet, the tips and ideas presented in this book are just what you are looking for. I would suggest this book to anyone who wants to boost their self confidence and learn to be their own cheerleader. There are many great tips and actionable steps you can take so this is a great book to have on hand and to read over and over again whenever you need to! This book covers an incredible variety of strategies, ideas, techniques, and lifestyle choices that you can utilize in order to save money and use it to your advantage! Life is so much better when you have your financial situation under control! In this book you will discover what you need to do in order to live a successful, happy, and fulfilling life that is free from the constant worry of bills, debt, and other obligations! Who doesn't want to save money, especially in this day and age? If you are looking for some tips and ideas on making a budget, sticking to it, cutting costs, and saving money, then this is the book you have to check out! 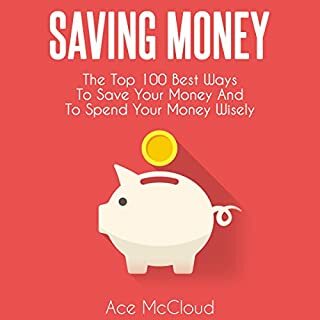 From simple steps to things you might not have thought of before, Ace presents 100 wonderful ways to start saving money starting today! I loved the mix of tips and ideas- some I knew of, some I had heard before but forgotten, and others were brand new and intriguing. I recommend this book for anyone who needs to really cut back on their spending or anyone who just wants to be able to save a little more money every month. Are you tired of anger and frustration on the golf course? Do you wish you could play more consistently? Whether you want to (1) learn basic golf techniques, (2) improve your consistency, or (3) master the mental part of the game, this audiobook will teach you everything you need to know. Swing yourself into a better golf game! 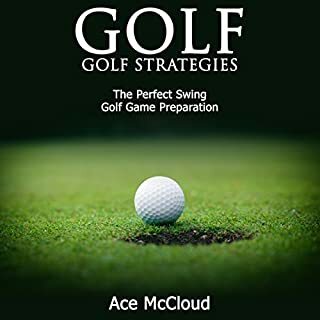 If you are looking for new ways to improve your golf game, or if you just want to learn more about the game, then this book of golf strategies is a great place to start! One of the basic tenants of golf is mastering the swing and in this guide, Ace McCloud offers some sound advice on how to master and improve your golf game and swing. The tips are easy to understand, are explained clearly, and will help you see an improvement in your game! I highly recommend this book for anyone who wants to better understand the basics of the the fundamental golf swing or who wants to improve their game. It is easy to swing into a better golf game with Ace's help! This book has everything you need to get healthy now and lose that weight! Find out the best strategies available to eat healthily, get stronger, exercise smartly, lose weight, and naturally increase your energy levels dramatically! There is a whole different level of health and fitness you can attain. Don't settle for an ordinary life. Use the strategies that pro athletes and others use to dramatically increase their health and overall well-being. Anyone who has struggled with the weight roller coaster or who has a hard time losing weight in the first place can benefit from the tips and ideas offered in this book. The tips are actionable, simple, and practical so anyone can take them and adapt them to their lives and unique situation. I really enjoyed the way the tips and ideas are presented and explained and with 100 tips offered there is something for everyone! 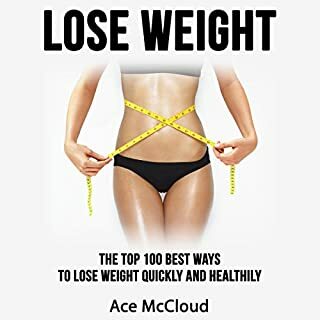 It will be easier than ever to live a healthy and active life and take control of your life thank to the tips Ace offers in this book. This audiobook focuses on helping you free up the root of your creativity...your imagination. This audiobook will arm you with all you need to help you boost your creativity and use it to get incredible things done. This audiobook is the result of years of working through the challenges that hampered my own creativity. The techniques and strategies I share here will enable you to revive the creative glow you had as a child and apply it to see amazing accomplishments in your life, starting today! We are all born with a great sense of wonder and natural curiosity that fuels a creative mind. Unfortunately, this creativity diminishes as we age and the wear and tear or life takes its toll on us. For many people, creativity does not come naturally as an adult and it must be cared for and nurtured with a direct and conscious effort. If you have been looking for simple and easy ways to be creative and unleash your full potential, then I highly recommend this book. 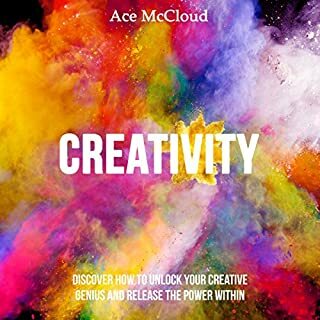 McCloud does an amazing job giving real world practical advice that can help unleash the creative genius that is inside you right now! I consider myself to be a very creative person but even I found some very useful information and tips that I have applied. This is a must have book to unlock the creativity you want! Are you tired of suffering from the pain of old wounds that won't go away? Do you wish you could just let it all go and be truly happy again? Whether you want to (1) eliminate negative thoughts and emotions, (2) let go of grudges and thoughts of revenge, or (3) free your mind and be happy again, then this is the audio book for you. Don't let old grudges and negative memories ruin your valuable time on this planet. We all have heard the saying that we should not go to bed while we are still angry at someone. Holding grudges hurts us more than then person we are angry with, but it can be so hard to let go and forgive someone who has hurt us. 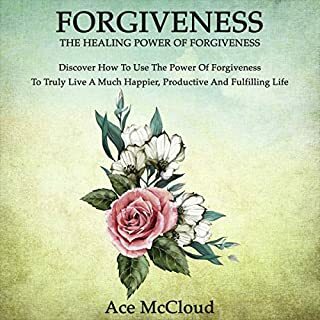 Ace McCloud offers some practical ways to practice forgiveness and to begin healing. If you are struggling with unforgiveness in your life then you need to listen to this wise advice! I would highly recommend this book and have already put many of the tips to work in my life- and I am seeing results! So give it a try and see how much freedom you can get, just by letting go and embracing the healing power of forgiveness! Are you tired of fear ruining your life? Do you ever wonder how much you have missed out on? 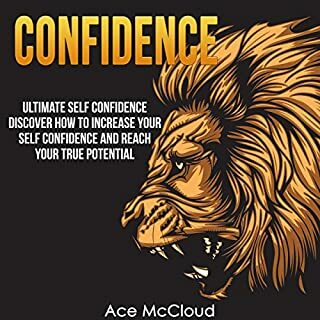 Whether you want to (1) establish solid strategies for overcoming fear, (2) live with confidence, or (3) just start truly living again, this audiobook will teach you everything you need to know. Stop living in fear, and do what you want! No Fear Can Be Possible! We have all heard the famous saying by President JFK- The only thing we have to fear is fear itself. This is a good motto to live by but far too many people fall shot of this goal, and most of the time it is because they do not have the guidance they need to get started off on the right foot. This book highlights some of the most important things people need to know about fear in order to face it and overcome it. 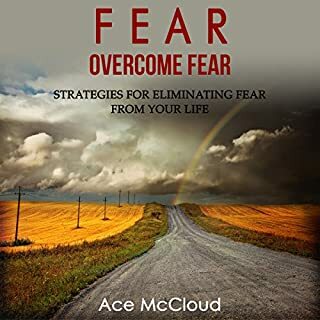 Form what makes us afraid to ways to cope with and deal with the fear that feel creeping in on us, McCloud offers good practical advice that you can take to heart and begin using right away! Whether it is fear at work, school, in your romantic life or your personal life, this book can help shed some light on your fear and can give you ways to overcome the fear so you can get on with you life. I would highly recommend this book to everyone! Are you tired of being a Twitter amateur? Do you wish you could make some real money with Twitter like everyone else? 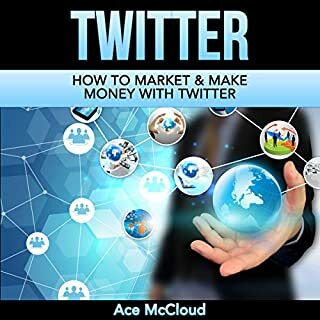 Whether you want to (1) know how to optimize your Twitter account, (2) know how to build up your fan base the right way, or (3) market with Twitter to boost sales and make money, then this is the audiobook for you! Get to marketing with Twitter! Turn Your Tweets Into Profits! You can learn to communicate calmly, confidently, and easily. This is where the true power of communication shows up most clearly. As you learn to take the conversational initiative with grace and aplomb, you will see your influence and enjoyment increase! I highly recommend this book for anyone who needs a little help or some new ideas and tips for when they have to host that business meeting, give a speech, or make a presentation. 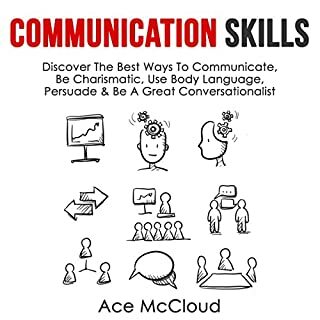 From how to start, keeping your audience interested and engaged, ending with a strong conclusion, and maximizing your effectiveness, you can learn how to do it all in this awesome audio book! It is presented in a clear and efficient manner and is packed full of great tips you can start using today- whether in business or personal application. Transform your life by becoming a great communicator! Are you tired of being lonely and alone? Do you wish you had someone to enjoy the weekends with? Whether you want to (1) create the perfect online dating profile, (2) craft messages that get enthusiastic responses, or (3) find the love of your life, this audiobook will teach you everything you need to know. Take control of you online dating and love life! This book is packed full of helpful tips and ideas that can help your online dating life and help you get the attention you want and avoid the attention you want to stay away from. Whether it is tips on how to set up your profile, how to type up a intro conversation starter, choosing your profile pictures, and when to talk about what McCloud presents it all in a clear and concise manner. No matter what you are looking for and what your goals and plans are you are able to find something that will help you stand out from the crowd and get noticed in the online dating scene. 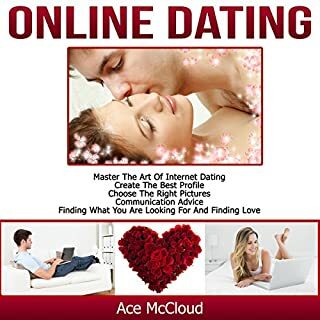 You have nothing to lose and everything to gain so give Online Dating by Ace McCloud!